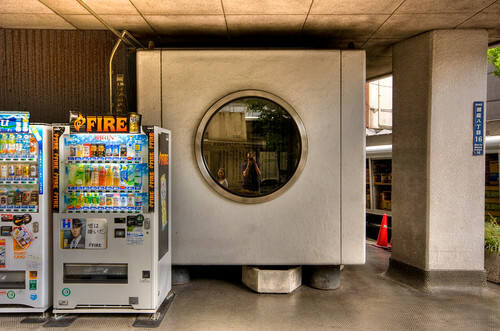 Check out this crazy building made by stacking dinky rooms on each other. 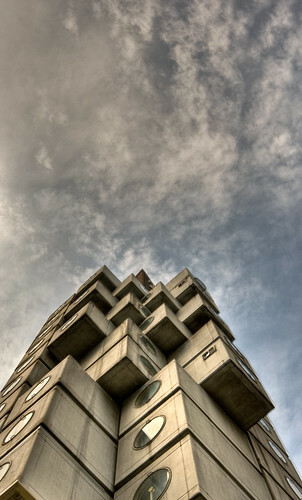 Apparently, people thought modular housing would be the future of city life. Then the bubble burst and everyone forgot. 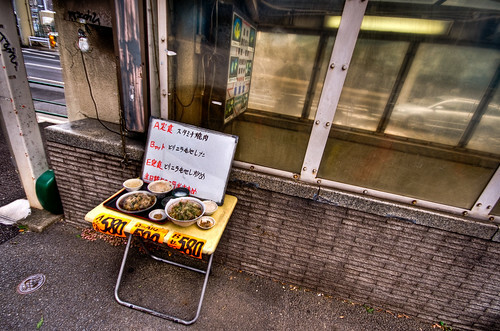 Also on the street in front is an advertisement for an underground restaurant. Usually they use the nice, always fresh plastic food models. But here they just slap some plastic wrap on the real thing. On a folding table on the sidewalk. Great blog! Did you take these photos in Ginza? 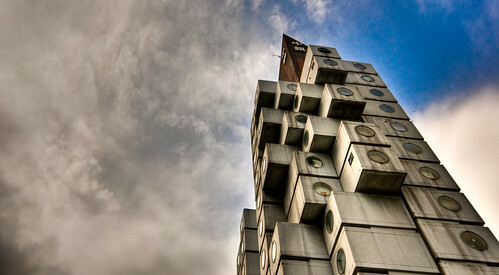 It looks like the Nakagin Capsule Tower Building, which was designed in the early Seventies. Each prefab has its own built-in bed, bathroom, closet, desk and sound system (according to "Gateway to Japan").